Copy contract address from “Buy TKT tokens for ETH” section . 3. Log in or log up Ethereum wallet. 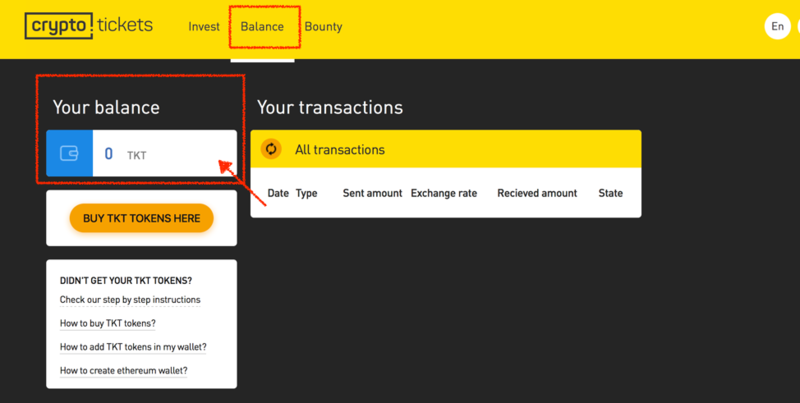 Don’t send ETH from exchange! 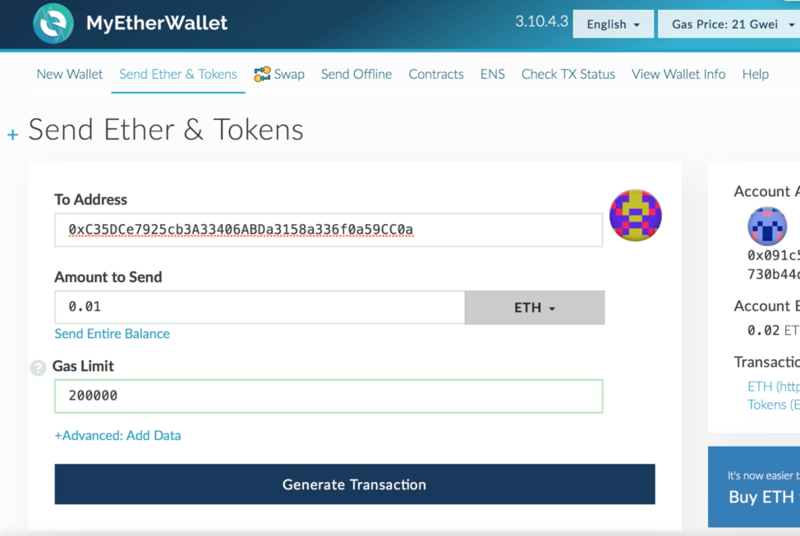 If your ETH is in exchange, transfer it to compatible wallet (we recommend to use https://www.myetherwallet.com). 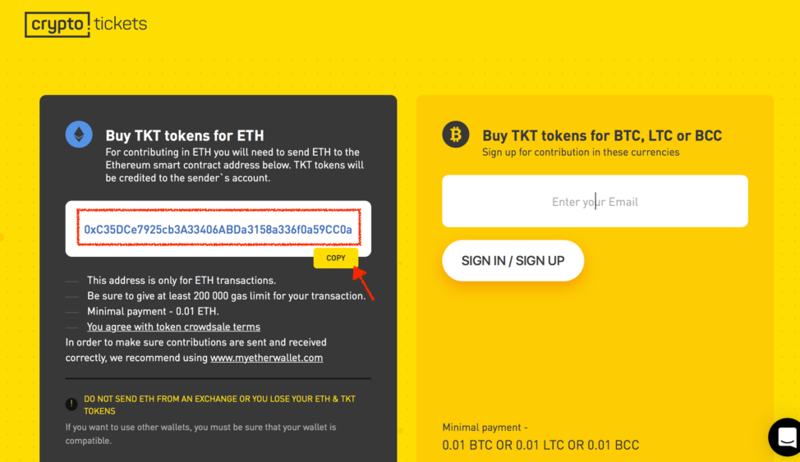 How to buy TKT token for ETH via other wallets? How to add TKT token in another wallets? 9. Scroll down the page to “how to get TKT tokens” tab and enter Your Ethereum address. 10. 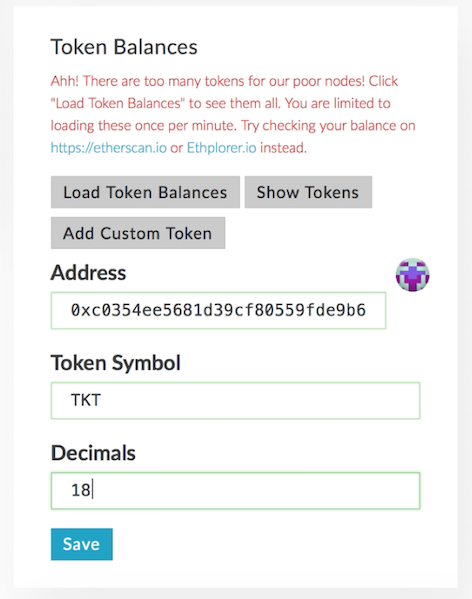 Go to Balance tap, your TKT tokens will be displayed there in about 3 minutes.